A pair of beautifully simple, oval brilliant cut diamond stud earrings. A simple yet distinctive pair of Oval brilliant cut Diamond earrings that sit gracefully on the earlobe. 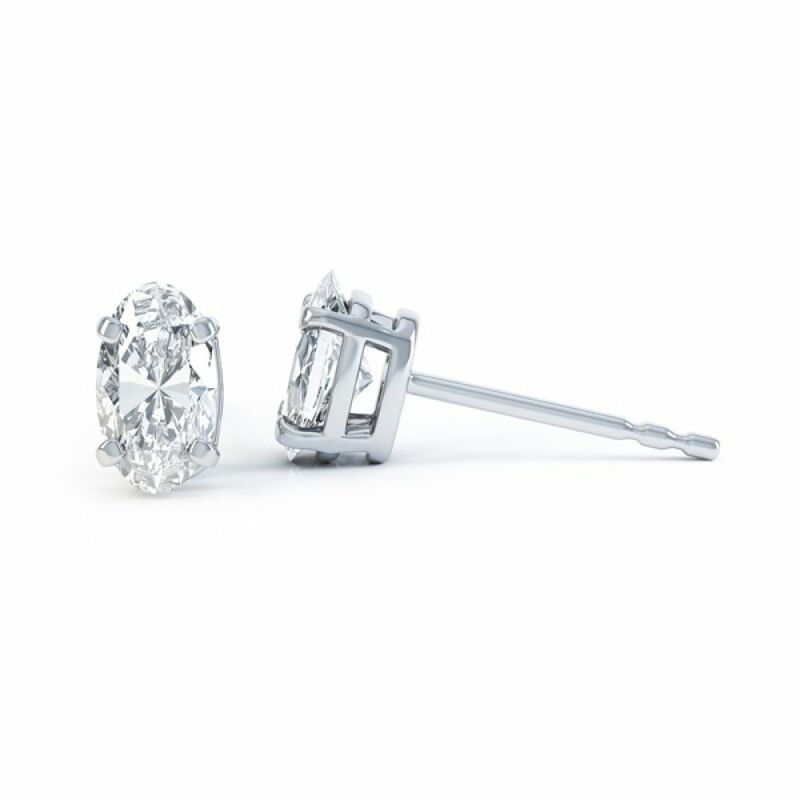 These stylish earrings come in a range of Diamond specifications and can be finished in precious metal finishes of 18 Carat White or Yellow Gold and 950 Platinum. 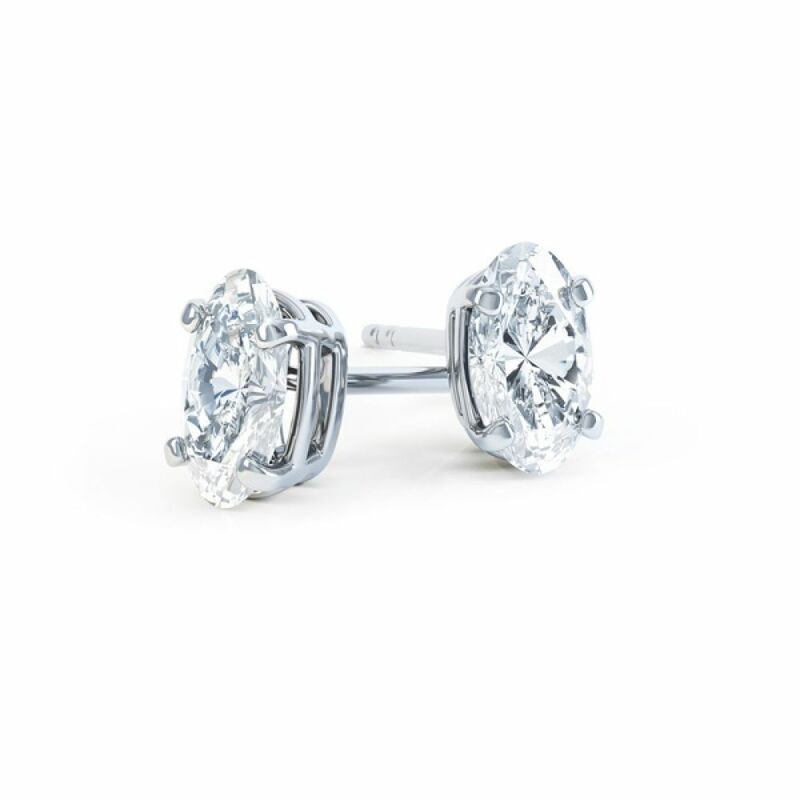 The lustrous Diamonds are held securely within a four claw setting and have a traditional post and butterfly backs. We also supply a pair of Lox earring backs with these precious earrings for added peace of mind when wearing. The earrings are lovingly crafted to order so please allow four weeks for delivery. Upon completion the earrings will arrive with you, ready to grace any jewellery suite, beautifully presented in our bespoke packaging.